Which is the Better Business Structure? LLC or S Corp? This is a transcript of a video where Andy Gale of Business Attorney Orange County discusses the difference between a Limited Liability Company (LLC) and an S Corp. He talks about what a business owner should do, in order to choose the best entity for his company. One of the more common questions I get in my practice these days is, “What’s the best entity for my practice?” “Should I form an LLC?” or “Should I form a corporation?” And built into that question from my clients is frequently this, “Can I watch a YouTube video and just figure it out on my own?” or “Do I really need professional help?” So I had a client earlier this week who is in the E-cigarette business, and he was doing fairly well. He had a building that he does manufacturing in. And he also had an operating business where he would sell the cigarettes themselves, sell the juice, and whatnots. And so I said, “Well, let me just walk you through the process. It’s a bit of a matrix in that there’s a number of things you need to consider. There’s several different types of entities, of course. There’s 6 questions that you need to ask yourself. And once you have the answer to the 6 questions, there’s 11 variables that you need to take into consideration, which will help you figure out where in the matrix you should land, whether be an LLC or an S Corporation. Who will own the company? Who’s going to run the company? What are the gross revenues? What are the projected net revenues? How will the profits be split if there’s more than 1 owner? Are there going to be professionals involved? How will we be allocating the gain and loss between the owners? How are we going to get the cash out of the company? Are we going to be paying attention primarily to Federal Tax Considerations? Are we going to be paying attention to State Tax Considerations? How about us, the owners? What about our personal taxes? These are all the different variables, which will either skew you towards a decisions for an s corporation or for a limited liability company. Now, by the time I’ve outlined these questions, and outlined the variables, honestly, my client started to glaze over. So I said, “Well, let me just dig in, so you can sort of figure this stuff out on your own.” And it is no piece of cake. So let’s talk about the purpose. Well, we talked about a limited liability company and an s corporation. Generally breaks down into sort of 2 main thrusts. If I’m going to have a holding company, then I want to lean into a limited liability company. Typically, holding companies deal with real estate rentals and royalties. If, on the other hand, I have an operating company, that’s a company that provides a service or deals with the sale of goods or we have wages and salaries and tips and commissions, ordinarily, I like to lean into an s corporation. How about the formalities? It’s not uncommon for me to have clients say, “Yeah, look, I want something really simple. You know, I don’t need all that paperwork.” If that’s the case, you can’t have an s corporation, because the government requires a certain amount of formalities. Now, on the other hand, a limited liability company does not necessarily have a government requirement of those formalities. However, in order to get the full alter ego limited liability protection, I think it’s necessary that in fact you do maintain those similar or same formalities that you have in a corporation. Because if not, you’re vulnerable. And if you follow all of the regulations as you should, the formalities in an s corporation, then you’re really liability-resistant, which is really an ideal for a business owner. How about the owners? Sometimes I have clients say, “Look, I just want to have anybody or anything be an owner. I want it to be a corporation. I want to be a partnership. I want it to be a citizen of a foreign country. If that’s the situation, you cannot be in an s corporation. Only US residents, US citizens, and simple trusts can be members or owners or shareholders of an s corporation. How about co-owner protection? How do we take care of them? Frequently, I have people say, “The reason why I love the limited liability company is because I get charging order protection.” Well, you can get the same sort of protection if you have a buy/sell agreement that’s properly drafted and put together between the shareholders of an s corporation. So the co-owner protection can be virtually the same. How about professionals? 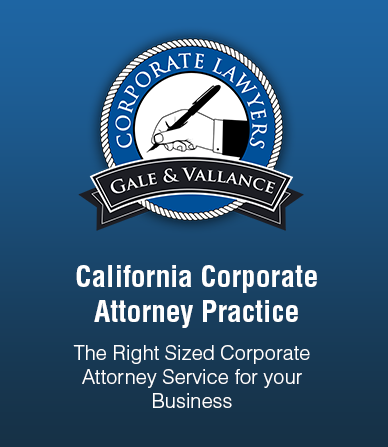 In a limited liability company in our State, California, none are allowed. However, if you want to have professionals in an s corporation, all are welcome. How about the management? Sometimes, I just want to have a person, an individual being the manager. In that case, I’ve got an officer or a director in an s corporation that can do the job. However, if I want a company doing that job, the management job, then I can’t be an s corporation. I must be a limited liability company. How about how do I get the cash out? When it comes to limited liability companies, the way they get the money out is through what we call a draw. In an s corporation, we get the money out through a salary, and then a dividend split. How about the gain/loss cash flow? Sometimes we have owners where they want to put in 1 percentage of money, and then really what they want to do is have a different allocation of gain and loss. You can do that in a limited liability company. You cannot do that in an s corporation. So for example, in a limited liability company, you might have one of the members who wants to put up 10% of the money, but he wants to take say 90% of the losses. You cannot do that in a corporation. If you’re putting up 10% of the money, you’re going to get 10% of the losses or 10% of the gain. How about the tax options? A lot of times, I have clients say, “I love the limited liability company because it gives me so many different options for taxation.” Well, I think that’s sort of a false benefit, and the reason is because the second you pick your tax option, all of the flexibility, of course, is gone. If you’re just a single member limited liability company, you’re going to be a sole proprietorship or you’re going to be either a c or an s corporation taxation. If, on the other hand, you’re a partnership that is more than 2 members, then you’re either going to be taxed as a partnership or you’re going to be taxed as a corporation. But once you pick, you can’t change year to year to year. That sort of sense of flexibility really is out the window just the second that you do it. On the other hand, with an s corporation, you’re taxed as an s corporation. That’s your only option, and if that tax scheme works for you, then the s corporation is the way to go. How about Federal Tax? If you’re a limited liability company, depending on which one of the past selections that you made, you’ll be taxed accordingly. For example, sole proprietor, no Federal Tax. Partnership, no Federal Tax. S corporation, no Federal Tax. It all passes through to your own individual return. However, if you choose c corporation, why then of course, you are going to have tax issues. On the other hand, if you select the s corporation, there is no Federal tax. It all passes through to the individual shareholder’s tax return. How about the State Tax? Here in the State of California, your both entities are going to face the $800 minimum franchise tax fee. In addition, in a limited liability company, you’re going to pay a gross receipts fee depending on what your gross receipts are, in addition to the franchise tax fee. However, in an s corporation, you’re only going to pay a net profit, which could be considerably different depending on what your gross revenues are. How about Personal Taxes? You are going to pay on a limited liability company income tax and self-employment tax on a draw. On the other hand, on an s corporation, you’re going to pay income tax and a payroll tax on your salary. Now the big difference here is when you get into profits and distributions. All of the distribution is subject to, on a limited liability side, a self-employment tax or an income tax, depending on how you’re taking it. And it is subject to income tax on the s corporation side. But no self-employment tax on the s corporation side. And that could be a swing of 15.3%. So a significant difference in favor of the s corporation if there’s going to be a lot of distributions out of the entity. How about tax credits? For the limited liability company, no tax credit flow through. In the s corporation, certain tax credit do in fact flow through to the individual owners. So after you’ve known all of the 6 questions, and you know all of the 11 variables, did you figure out which one is best? Probably not. And that was exactly the problem that my client had. Now he was fully glazed. So let’s just dig in to his situation just a little bit. Remember I said early on in this video that he had a building and an operating business. So the best way to put his situation together is this: put his building in a limited liability company, and run his operating business, his retail business out of an s corporation. The reason is once he’s put his business in a limited liability company, he’ll have limited liability, he’s going to have to take care of the $800 franchise tax fee, but because he’s going to have a small gross in earning, he can have a low State Tax because there’s not going to be gross revenues to tax. And because he’s got low earnings coming out of that company, he’s going to have a low self-employment tax, which is ideal. On the flip side, for his operating business, he’s going to have limited liability because he’s in the s corporation setup. He’s still going to pay the $800 franchise tax fee. In this case, he’s going to have a small net income, because all of the money is going to be come out as a distribution. So he’s going to have a low State Tax. And because he’s got the big distributions, he’s going to have no self-employment tax, which is going to be a huge advantage to him. My name is Andy Gale. I hope this video is helpful. If to take away from it is, “Oh my God, this is incredibly confusing!” It is! There’s a lot of different factors, and each one of them gets weighed differently, depending on what’s most important to you and what are the goals that you are trying to achieve. I would highly recommend that you meet with a professional. I would highly recommend that you deal with an attorney that understands how to setup small business corporations, how to setup limited liability companies. And I would also highly recommend that you have a conversation with your CPA so you can really fully understand the tax impact of what your business is going to be doing.